Few authors become famous for their tie-in fiction. Along with Margaret Weis, Tracy Hickman, and a scant few others, R.A. Salvatore is an exception. While he’s written original novels, tie-ins for Star Wars and Tarzan, as well as other characters in the Forgotten Realms, Bob remains best known for the dual-scimitar-wielding Drizzt Do’Urden. 1. In games, the roll of a die often determines success or failure. How do you instill a feeling of uncertainty in your characters’ actions without it seeming random, on one hand, or pre-ordained on the other? Well, there’s the $64,000 question. Of course it’s pre-ordained, since I’m writing a book (sometimes I might get surprised, but rarely to the level where someone loses a fight he/she was supposed to win!). Again, this is a point where writing is x and gaming is y and never the twain shall meet. I certainly wouldn’t sit around rolling dice to determine the flow or outcome of a battle. 2. Your work first became popular while D&D was in its second full edition. Now that the game has launched its fifth and you can look back on the changes to the setting and the development of your characters, how do you see them relating? That is, have some changes in the rules—or in the Forgotten Realms setting—had a big effect on your characters’ arcs? Actually, the first books came out under 1st Edition! The changes to the game have created a love/hate relationship. When they went to second, I got a call from the FR Coordinator, Jeff Grubb, asking me how I was going to kill Artemis Entreri, since all the assassins were going away with the edition change. We argued for about 20 minutes when Jeff put his foot down and said that all the assassins had to go and if I didn’t do it, they would have to. So I told him that Entreri wasn’t an assassin, but a fighter-thief who takes money to kill people. Jeff thought it over for a moment, then agreed. And that’s the gist of my relationship between the writing and the game over the last quarter-century, where I’m constantly lurking in shadows and playing semantic games to keep my story flow as honest to the story itself as possible. I mean, obviously jumping a world’s timeline 100 years is going to cause issues with a human character, since 140-year-old humans don’t fight very well. 3. At a writers’ group meeting, one of my TSR colleagues said that what he most wished for as a writer was to have one of his characters become iconic, like Burroughs’ Tarzan. As one who’s enjoyed exactly that sort of success, do you think it’s a good thing to wish for? Is it everything one might hope, or is there a Monkey’s Paw side to the phenomenon? Does the popularity of Drizzt have a downside? It’s an amazing thing on so many levels that the downside is buried. Because of Drizzt, my work gets allowed into the lives of others, and that’s an amazing blessing. Let’s be honest, it also keeps me employed doing something I love with a character who has become more of a friend than words on a page. The downside, of course, is that when an author has a successful series (much like a TV actor), he/she becomes locked in place in the minds of many readers. There’s a reason Robert Jordan stayed with Wheel of Time until he death, and it’s the same reason JK Rowling’s non-Harry Potter book didn’t perform as expected. The reality is simple: go away from your main series and you’ll have to pull readers along by the nose. I consider my DemonWars novels as good as anything I’ve written—in many ways better, honestly—but they remain under the long shadow cast by Drizzt. Even within the Realms, convincing Wizards of the Coast to let me do a novel that doesn’t feature Drizzt is a difficult fight. 4. You’re such a cinematic writer that I have to imagine you’re as influenced by films as much as by prose fiction. Who are some directors, actors, or just genres of films that inspire your work? I think that’s a fair supposition! I go back to the old Dragonslayer movie with Peter MacNicol as one of my favorites (which is why I named the centaur in DemonWars “Bradwarden.” Also, the Rankin-Bass animated Hobbit stays with me to this day. I love what Ron Moore is doing with Outlander now on STARZ. Rome was another series that grabbed me. Going back to when I was a kid, movies like Jason and the Argonauts, War of the Worlds, Journey to the Center of the Earth, Robinson Crusoe on Mar, The Three Musketeers (the version with Michael York, of course!) all kept me enthralled on Saturday mornings. 5. If the writer is the Dungeon Master and the characters are the players, which of your characters is the rules lawyer? Which is the min-maxer? Which is the master thespian? Who’s the edition warrior? Who’s the one most likely to kick down the door? And who’s the first to loot the bodies? Oh, boy… Catti-brie is the Rules Lawyer, Drizzt the munchkin and thespian, Bruenor the warrior, Wulfgar kicking down doors, and Regis looting the bodies before they hit the floor. And I’m not really the game master, Jarlaxle is. I’m just the front guy, really. This entry was posted in Games, Writing and tagged Forgotten Realms by Dave Gross. Bookmark the permalink. Love it. 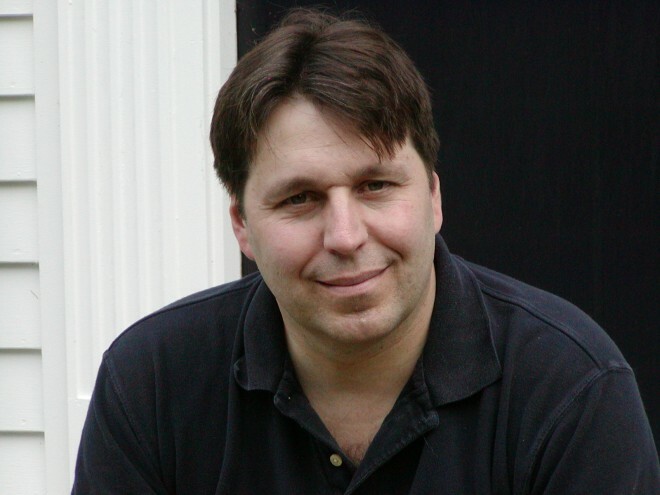 R.A. Salvatore strikes me a very humble author and I love how he mixes in philosophy and introspection. It shows a completely different side to his characters that you might not get any other way. So far I’ve enjoyed everything of his that I’ve read.